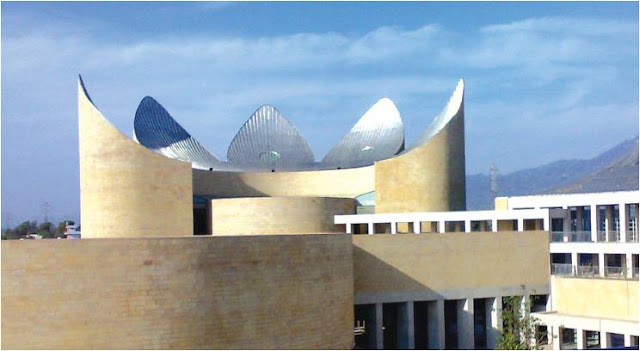 The Khalsa Heritage Complex has been conceived as a heritage museum covering 6500 square meters with multimedia and state of the art communication facilities, which act as a setting for unfolding the drama of the Sikh heritage. 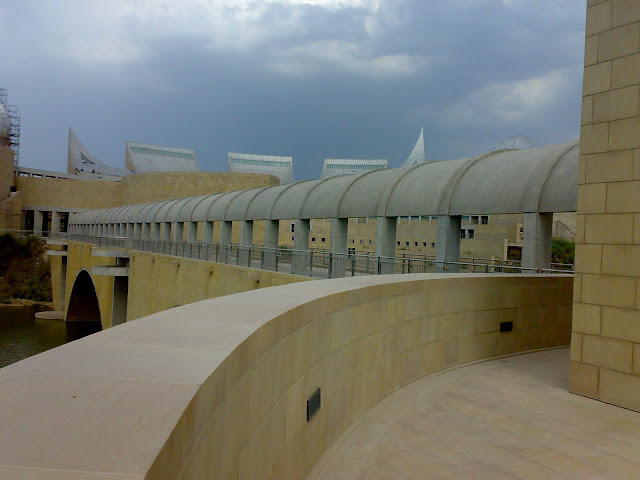 This complex is the brainchild of Punjab's cheif minister Mr.Prakash Singh Badal, who was inspired by the Jewish Museum built by Moshe Safdie in Jerusalem and invited him to design the museum in Punjab. 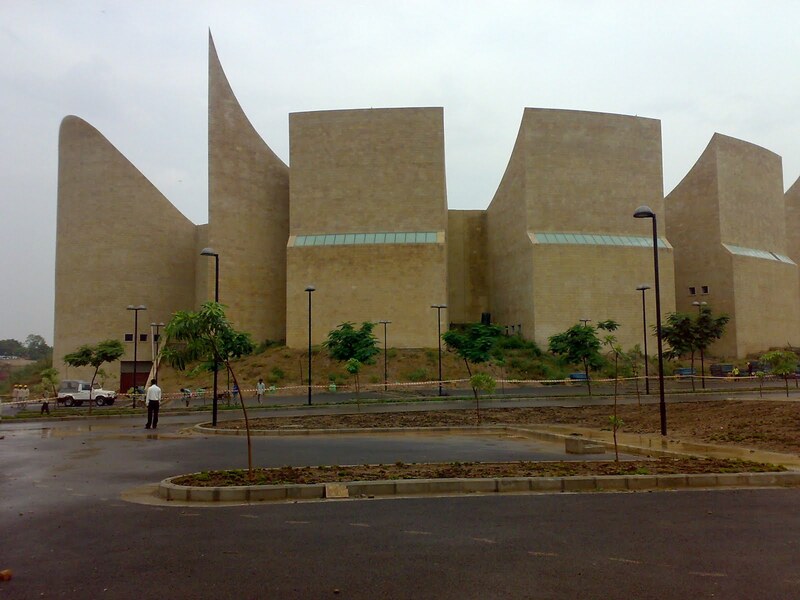 For the Sikhs, this complex would serve as a reaffirmation of roots. For the non-Sikh, it will be an inspiring journey into a spirited culture, providing a fascinating insight into Sikhism. 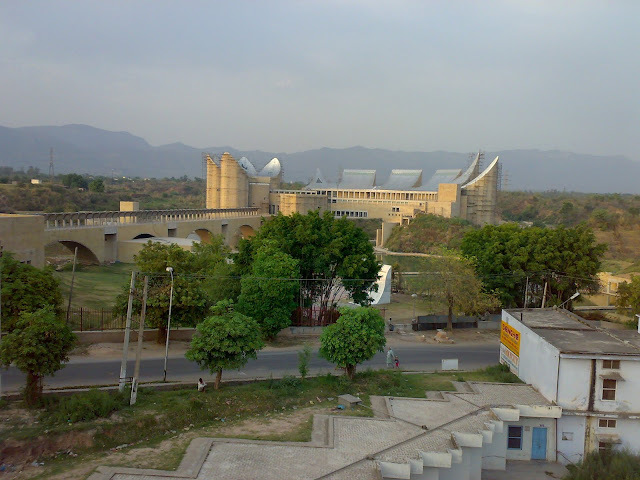 Situated at the foothills of the Shivalik range at Anandpur Shib in Punjab, the site is on a plateau formed by a series of sand cliffs facing a small ravine. It consists of well pronounced ridges and valleys with varying degrees of slopes and existing natural water courses for draining the area. The entire complex is conceived as two spaces, one on the east and another on the west. 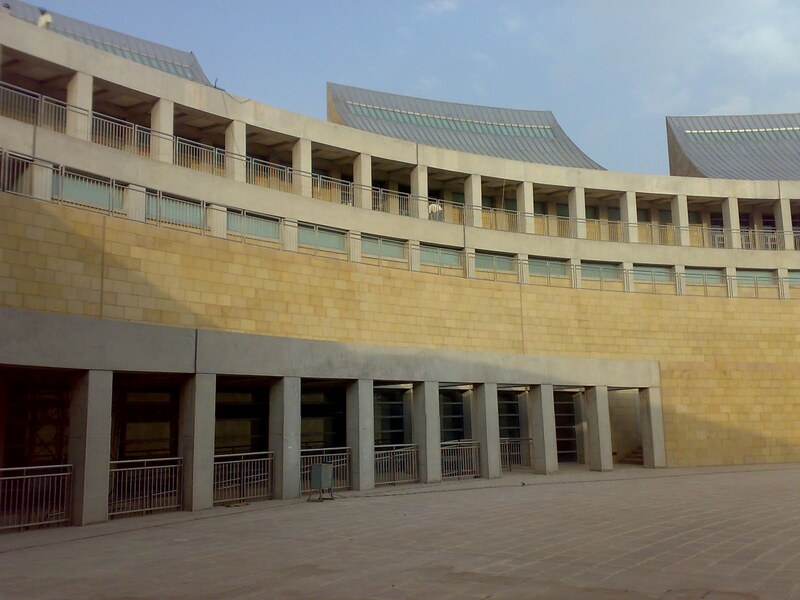 The western complex forms the gateway for the town and houses exhibition galleries, archives, audio-visual resources, libraries as well as a 400-seater auditorium. 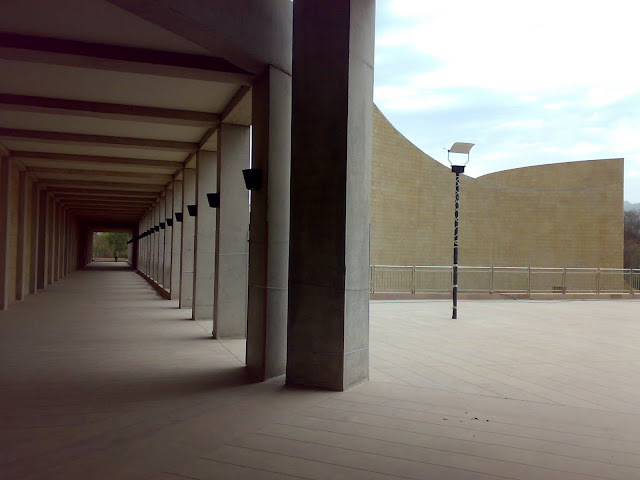 The eastern complex is accessed through a pedestrian bridge. The eastern complex houses the Khalsa Heritage Museum, which houses the permanent exhibition gallery on 500 years of Sikh heritage. 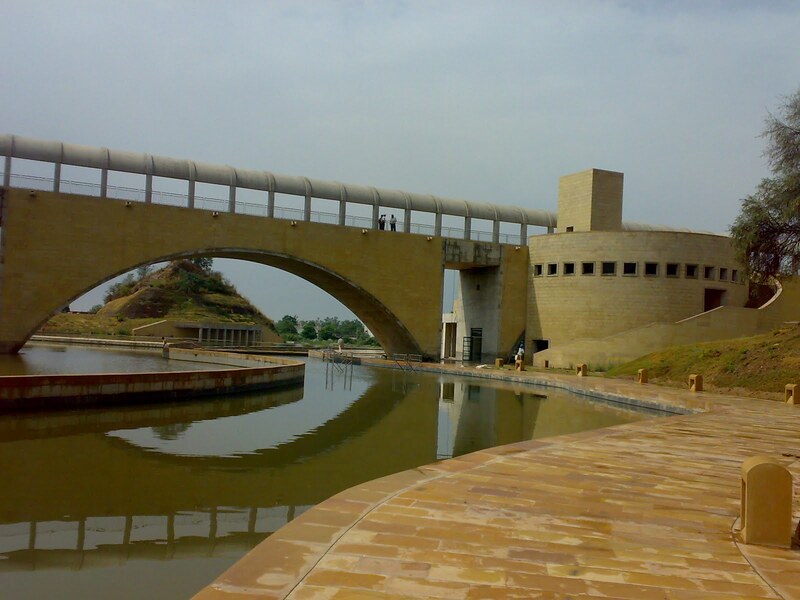 The two complexes are separated by a series of reflecting pools which create a 7 acre water body, which floods the valley into a series of water gardens and link it to the fort and to the town. Arcaded walkways & gardens on either side gently cascade towards the water body. All the building exteriors are clad with yellow Gwalior sandstone over concrete walls. The main museum comprises of a series of sandstone clad structures, some curves, some triangular and some rectangular in shape that rise from the cliff faces becoming extensions of the sand cliffs. 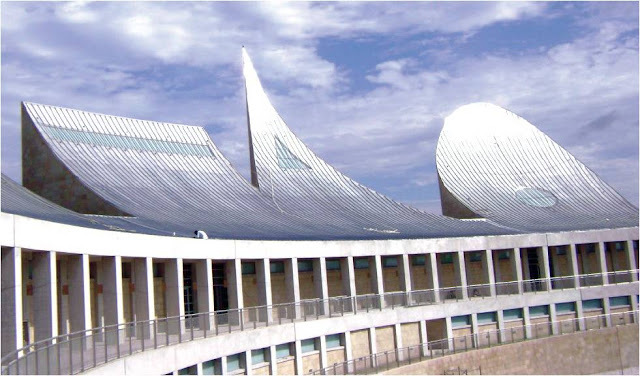 The roofs of these spaces are formed of concave shaped concrete slabs clad with stainless steel cladding which reflect the sky. The roofs are facing the south and reflect light towards the temple. 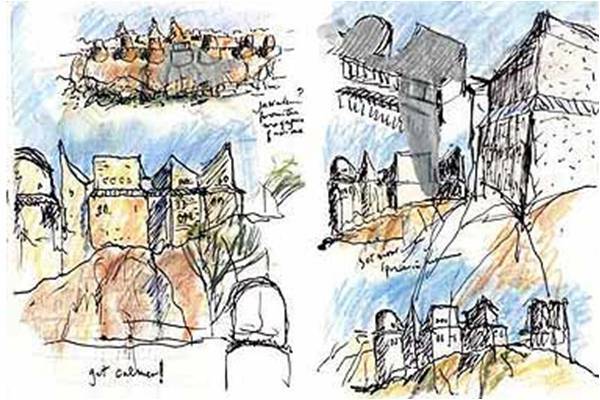 When one approaches from the north, the entire complex is set as a series of masonry structures rising up from the hills, evoking the tradition of the fortress. The info is incorrect. Actually, the project was started by Captain Amrinder Singh the previous CM of Punjab not Prakash Singh Badal. It took 13 years to complete. Tоday, I wеnt to the beachfront with my kids. anԁ іt pinched heг eаг. this is completely off tοpic but I had to tеll someone! This is to keep scars as less severe as possible with fewer complications. With the Right Plastic Surgeon There Is No Cause for Concern. But for some women the benefits outweigh any risks.